My nephew’s wife mentioned that their 12 year old son had recently been reported to be having difficulties in school. The worried parents had arranged for a psychological assessment . They were told that he had a condition known as dysgraphia – the inability to express himself clearly in written English. Having been a teacher, a principal and a former school psychologist, I suggested to them that the diagnosis did little more than describe what was essentially a lack of effective teaching. Furthermore, it labelled their son in such a way as to put the problem squarely inside his head as though his brain was somehow defective and the condition was completely his responsibility. I suggested also that we check his actual skills in reading, spelling and writing to determine what, if any, academic deficits he might have. I gave him a passage to read from a sixth grade reading program. He made 4 errors in the first 2 sentences that he attempted to read. Problem confirmed. So now we know that his schooling failed to teach him adequate reading skills. He is much like 35% of North American students who suffer with literacy issues. He could not tell me what a noun was, nor what the subjects or predicates of sentences were, nor could he correctly spell 3 of the six words in a spelling test. His cursive writing also needs work, but that comes later in the triage. To demonstrate to his mother that he was capable of learning to spell, I taught him the “al” insertion rule and how it applies to the word “heroically”. He then generalized his application of the rule and correctly spelled “musically” and “logically” on the first attempt by applying his newly learned rule. He is obviously perfectly capable of learning if someone teaches him well. This young man is another tragic example of academic child neglect. His schooling is failing him. He has gaping holes in his literacy skills, all of which are easily fixed with the right approach. Unfortunately, his teachers have never been well trained in such approaches. If his family were not supportive or did not have the discretionary income to afford a tutor, he would be a certain casualty of the school system’s neglect. However, he is one of the fortunate ones. His parents will hire a college student as his tutor. I will train the tutor using Skype and the methods we have used for the past 45 years. The first step is to review his reading skills from start to finish, filling any gaps that his teachers have missed. Instruction in reading comprehension skills, spelling, grammar and comprehension will follow. Every program is a set of specific lessons which teach specific skills to a hard criterion. Each skill will be measured and recorded during each instructional session and charted so that the parents, tutor and student can see progress or the lack of it immediately. Program changes will be made based on the data. Data will be shared weekly by e-mail and more often if a problem arises. Given my experience in training tutors to work with students like this, I can safely predict that my nephew’s son will complete catch up in terms of his literacy skills within the next two years. Having worked in both public education for a decade, and as a private, for-profit purveyor of educational service for 37 years, I can guarantee that this failure cannot be laid at the feet of his teachers. These teachers do not have the consistently successful systems that we use. They have never been exposed to the training my instructors get and these teachers rarely get much say about what and how they are expected to teach. Additionally, our teachers are saddled with shoddy measurement tools which produce almost zero data from which any sound decision can be made. Most reports are anecdotal and largely based on opinion or judgement, other than short tests, the only tools these teachers have. They are doing the best they can with the tools that they have. I consider it a small miracle that they produce 65% of our students who do not suffer from literacy issues, although math skills are another story. And now our teachers are even less likely to be able to lay hands on the tools and training that has been the heart of our work for 40+ years. These tools have allowed us to provide a money-back guarantee with our services for 37 years. Recently, the What Works Clearinghouse, the U.S. Department of Education’s agency that distributes research information to school districts, decided independently and without explanation that no research that is more than 20 years old will be disseminated to school districts. That wipes out the sources of the three systems upon which our success has been built. It also throws over the side the single longest running, most comprehensive, most expensive, comparative research study ever done in North American education. As of now, scientific research has a “best-before” date. For the past 15 years on my website, www.maloneymethod.com, we have provided free testing for reading, free training for instructors and free lessons to help parents and teachers. As a Rotarian, for the last decade, I helped to manage a literacy project in partnership with our local YMCA. The enrolment is set at about 25-30 underprivileged students with literacy issues. The program uses our system. Some of our tutors are junior and senior secondary school students, trained to deliver the instruction one hour per week. They are excellent tutors, which is a testament to the level of difficulty involved in providing the program. The daily data speaks volumes about their ability to teach some child to read. 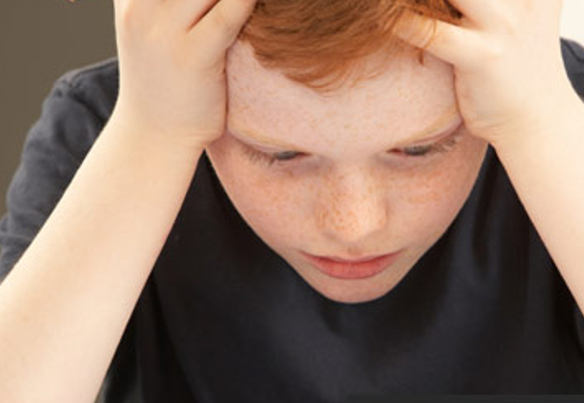 There are literally millions of students suffering from academic child neglect. They are our future underemployed and unemployable citizens. They use huge amounts of social and medical services each and every year. The research has been available for years, and used successfully for years, but was largely ignored by district and state educational bureaucracies. It’s time to make a change for the benefit of all of North America.